ADHISAKTHI is addressing the needs of Automated Manufacturing Solution for a long time now as one of the superior Process Automation Machine Manufacturer. We have a fully automated and well equipped manufacturing facility for the segments of health and beauty care. We are backed with discerning employees who enable us to follow a thorough system approach which is crucial in ensuring feasibility in the undertaken process for engineered solutions. In our Automated Manufacturing Solution, we make sure to integrate the complete process which comprises material conveying to machine packaging and the end of line automation solutions. 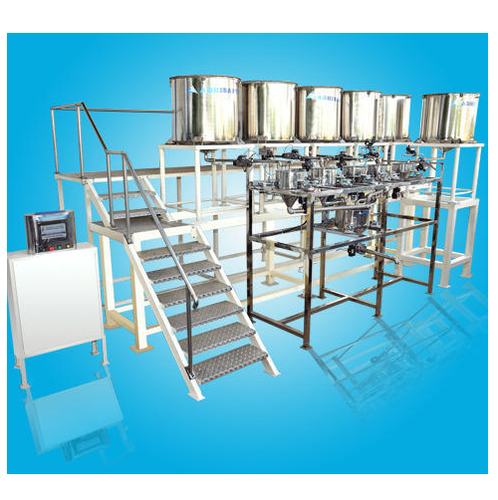 Our process automation machine gives appreciable return on investment as its design and working focuses on process accuracy, manpower optimization and material balancing. ADHI SAKTHI integrates ROBOTIC pick and place solutions, on the basis of client's and industry requirements. Hence our systems are versatile, dependable, and reliable that are sure to benefit the customers. Looking for “Complete Industrial Automation”?